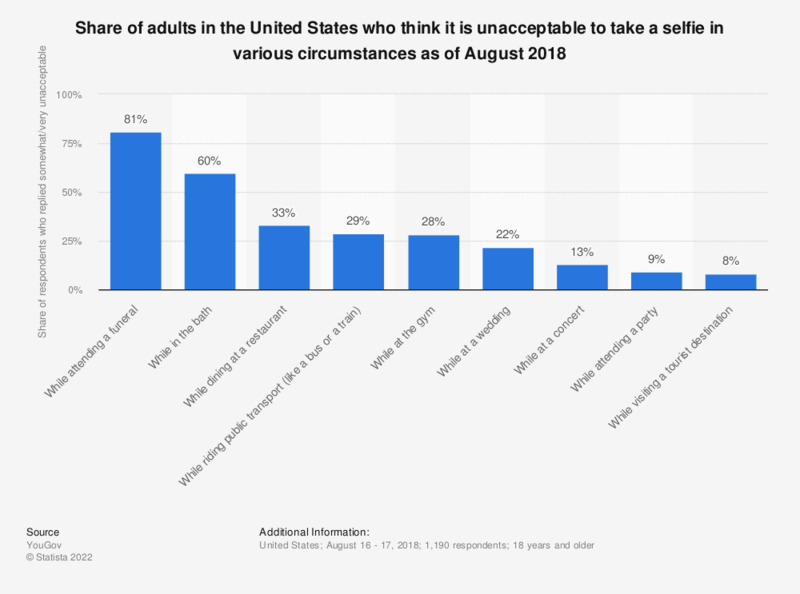 This statistic shows the share of adults in the United States who think it is unacceptable to take a selfie in various circumstances as of August 2018. According to the survey, 81 percent of U.S. adults considered unacceptable to take a photograph of themselves while attending a funeral. Question: Do you think it is acceptable or unacceptable to take a 'selfie' in the following circumstances? Please select one option on each row.